Will you Follow Along as I Experience Laser Hair Removal? Today's post is unique. I have decided to try laser hair removal and am going to share my experience with all of you over the next several months. I will visit spa810 Dallas at the Preston Center for monthly sessions and let you know how things progress. (They also have the trendy Uptown location.) This is a learning experience for me that I want to share because I think that many moms are curious about laser hair removal. The idea of lifelong results is appealing, especially as a mom that knows the precious value of time. In today's post, I'll share my thoughts and experiences that have led to my excitement about having laser hair removal. If you follow regularly, you know that I've had ups and downs as a mom. Despite sharing how I struggled with Hyperemesis Gravidarum (extreme morning sickness) during my pregnancy, I never discussed some of the more personal things such as how I struggled with basics such as shaving my legs or bikini area during my last trimester. When someone tells you that they are on bedrest, what you may not realize is that simple things that you take for granted are a challenge. One of the challenges that I experienced was that showering, let along shaving, was difficult. I could not stand for very long and had to have my husband nearby in case I got sick in the shower. Of course, in addition to that, my large baby belly made it difficult to see my legs or bikini area very well to shave. I remember thinking that I should have had laser hair removal many years ago so that this wasn't an issue. I decided that I would eventually have laser hair removal once I was done with pregnancy and breastfeeding so that I wouldn't have to worry about shaving when I was in a nursing home one day. It would be a luxury to no longer have to worry about shaving! While this may have seemed like an extreme reaction in that moment, I have had over a year to think about it and my mind is still made up that I want to have the smoothest legs in my nursing home one day and not have to worry about shaving in the future! In addition to my pregnancy experience where I struggled to shave my legs and bikini area, I have also heard other moms rave about how laser hair removal changed their lives in terms of the time savings and the freedom to wear whatever they want without worrying about whether they had time to shave. I am stretched thin, so the lifestyle change of no longer having to shave my legs a few times a week sounds like a luxury. Plus, being able to forget about razor burn and small cuts sounds wonderful. Another perk that I look forward to is being able to go swimming with my children on short notice without worrying about whether I shaved my legs and bikini area well enough to go out in public. I have thought a lot about laser hair removal over the years and am excited to take this step of self improvement. I hope that you'll follow along as I share my experiences over the next several months. 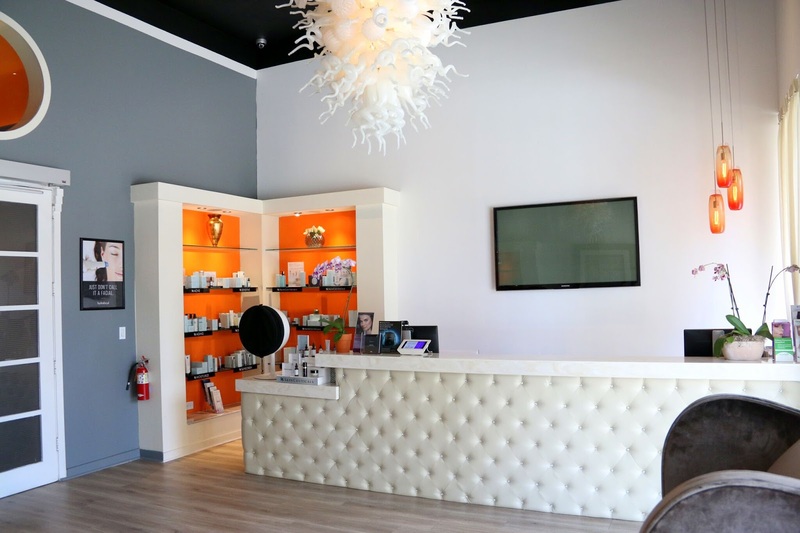 Finally, if you are interested in trying laser hair removal too, check out spa810 Dallas at the Preston Center or Uptown as they are offering a complementary laser hair removal session on a small area for first time clients. If you have ever considered laser hair removal, this is a great opportunity to try it without commitment!